Join many other Greensboro businesses that trust VERSA Technologies to setup your business communications and network systems. As a full-service business technology solutions provider in Greensboro, VERSA Technologies helps you maintain excellent communication, productivity and network security. Learn more about our services below. Working with one vendor in Greensboro for your Network Carrier Services will make it much easier to meet your business needs. Contact our team to learn more! Our IT services guarantee 24/7 network monitoring and maintenance, as well as monthly software and malware protection packages. 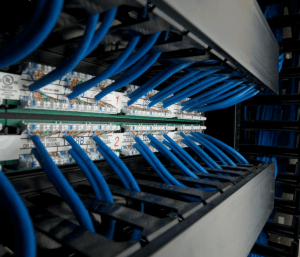 We ensure your network is always up and running so you’ll never lose precious data or business. Learn how we can provide network security. With direct partnerships with Toshiba and NEC, VERSA Technologies delivers high-quality VoIP in Greensboro that’ll help your business maximize productivity and improve communication between staff and with your customers. 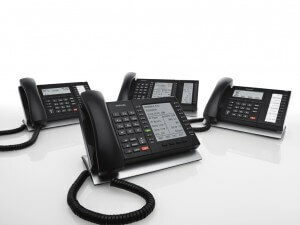 See what makes us experts on IP Business Phone Systems. Ready to get started? Contact our Greensboro office at (336)765-2004 today. Located in High Point, Raleigh, Winston Salem or Charlotte? We serve those areas too!